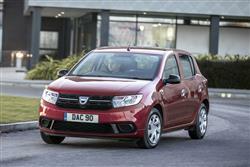 The Dacia Sandero might be the cheapest car on sale in the UK but that doesn't mean it's not without merit. 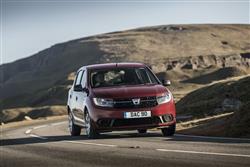 In fact the Sandero is big, solidly built and features some decent engines, especially in this improved guise. The entry-level car will be too spartan for many but even the range-topper looks good value. If you're just about to buy a mainstream brand citycar, supermini or family hatch, you need to stop right here and read on.. Sometimes, I think I must have been born in the wrong era. Is it just me - or does everything these days seem to cost rather more than it should? Take the purchase of a compact family car, the kind most people want, with room for up to five, a modern engine and a decent-sized 300-litre boot. Today, the mainstream makers have decreed that you'll pay from £14,000 to £15,000 for such a thing. But one brand disagrees. Dacia. For much less than half those kinds of asking figures, this Renault-owned Romanian marque can bring you this car, the Sandero. Let's check out this revised version. The range kicks off with a 1.0-litre SCe 75 three cylinder normally aspirated petrol unit. 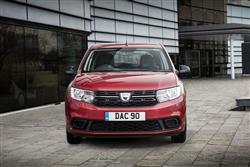 A well-proven TCe 90 turbo petrol engine and an uprated Blue dCi 95 diesel unit are available across the revised range. You're probably going to want them too as performance from the SCe 75 powerplant is rather leisurely, the rest to 62mph sprint occupying 14.2s. The TCe 90 derivative improves that showing to 11.1s. We could sit here all day making cutting comments about this Sandero's ride and handling package but d'you know what? We'll cut to the chase. It's perfectly adequate for the modest needs of its target market. It always was; it still is. The robust suspension set-up that suits this model's third world customers is perfectly adequate for ordinary A to B driving, though can lose its composure when confronted with serious tarmac imperfections. Push a little through the bends and you'll find that body roll is actually reasonably well controlled and you get decent levels of cornering traction too. We could do with a little more feel through the steering wheel, but the helm is at least light, offering a city-friendly 10.58m turning circle. As before, this car is built tough. How many other superminis are promoted as having excellent ground clearance enabling them to take on all kinds of road conditions with "robust underbody protection for impressive performance on unpaved tracks"? I've experienced the roads in this car's home state of Romania and if this Dacia can cope with them, it shouldn't have any problems with our potholes and speed humps - though I should point out that models produced for the brand's home market actually ride 14mm higher than our Sanderos. So where does the Dacia Sandero fit, sizewise? That very much depends on how you position the car. On price, you'd have to say it's competing with city cars but in terms of the amount of metal you get, it's actually sized somewhere between a Fiesta-sized supermini and a Focus-sized family hatch. In other words, for the kind of money being asked, the interior and exterior dimensions are very generous indeed, with the ordinary five-door hatchback Sandero offering 1436mm of rear elbow room, giving enough space to seat three adults comfortably or install three child seats. Boot volume is 320-litres (slightly more than a Ford Focus) which is extremely good for this class and there's a 60/40 split fold rear seat to improve practicality still further. 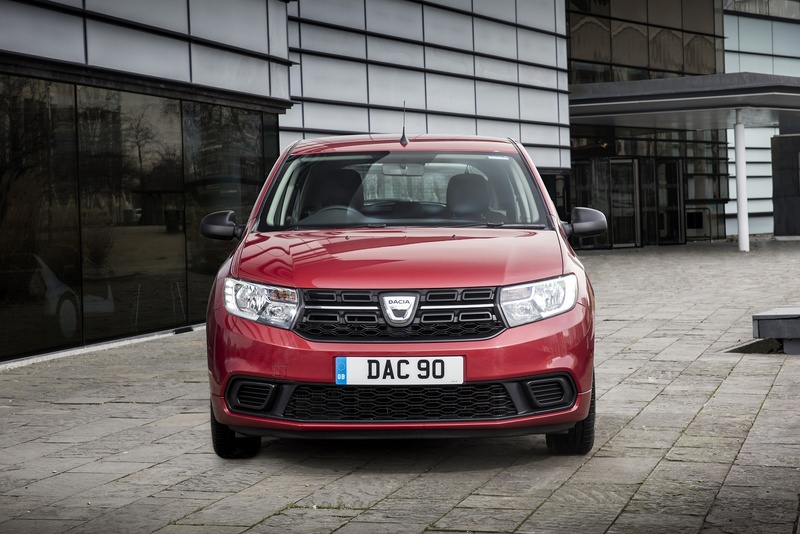 In 2017, changes were made to this model, including a revised front end design showcasing Dacia's smarter lighting signature flanking a revised honeycombed grille. The interior's smarter than it once was too, with satin-effect chrome finishing to lift the dashboard, a smarter steering wheel and some soft-touch surfaces on upper-spec variants. 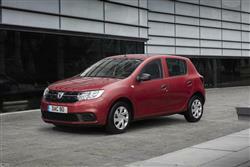 Dacia has even moved the electric window switches from the centre console to a more conventional place on the doors. As before, the cabin offers plenty of storage, notably via a central cubby box. The oddments spaces in the front and rear doors are large enough to house a 1.5-litre and 0.5-litre bottle respectively. As before, there's the option of a crossover-like Sandero Stepway bodystyle with raised suspension and roofbars. So how much are you going to end up paying? Believe it or not, from around just £7,000. That makes the Sandero the cheapest car you can buy. It undercuts other much smaller budget models such as the Suzuki Celerio by around £1,000 and offers more space inside. For some perspective, in size, this car is somewhere between a Fiesta-shaped supermini and a Focus-sized family hatch. So you get the idea. It really is hard to argue with this kind of value proposition. There's only a single five-door hatchback bodystyle but it does come in either standard form or as the 'Sandero Stepway', a variant that dresses up this design with a bit more SUV-style attitude and offers a higher ride height. Go shopping at the lower end of the standard hatch range and you can't expect too much in terms of standard equipment, though things have improved in that regard with this revised model. Most variants get a DAB radio and you no longer have to stretch right top the top of the range for air conditioning - it's now standard from the 'Ambiance' level upwards. As before, the entry-level 'Access' versions come only with the base Sce 75 petrol engine and are equipped with manual windows all round. For this kind of money of course, you might expect to have to have to wind up your windows yourself and do without things like body-coloured bumpers or remote central locking, but it may be a shock to find that you don't even get a radio or something as basic as a passenger grab handle - and that the only colour on offer is white. Still, all these things are of course available on the plusher Sandero models that most British customers will choose. Given that much of a new car's cost of ownership is swallowed up in depreciation, it makes perfect sense to minimise your financial exposure in the first instance if you want to keep a cap on bills. If you've paid around £6,000 for a Sandero and it sheds half of its value in three years, you're still only three grand in the hole. And £1,000 per year in depreciation is something most new car owners can only dream of. 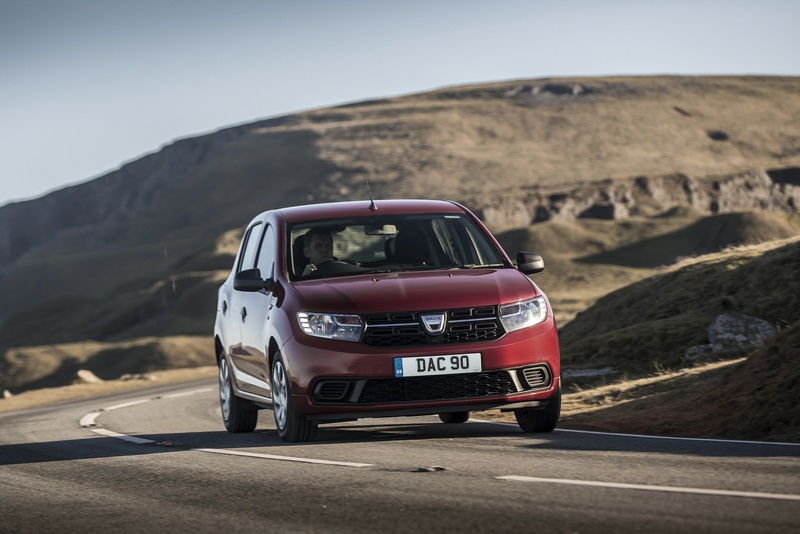 In fact, I have a suspicion the Sandero will do a lot better than that, because the public is getting wise to the Dacia brand and the engines on offer in this car all offer decent economy and low emissions. The TCe 90 petrol unit is the zippiest and even that will return a combined fuel figure of 57.6mpg and emissions of 109g/km. The 1.0-litre SCe petrol engine that comes with that headline-grabbing price tag doesn't fare quite so well at 54.3mpg and 117g/km but that's not going to send many of you to the wall. Those are NEDC cycle figures. The Blue dCi 95 diesel is rated on the tougher WLTP cycle and on that, you're looking at between 58.8mpg and 62.7mpg on the WLTP cycle - a truly excellent showing. All new Sanderos come with a 3 year/60,000 mile warranty (whichever is reached sooner). 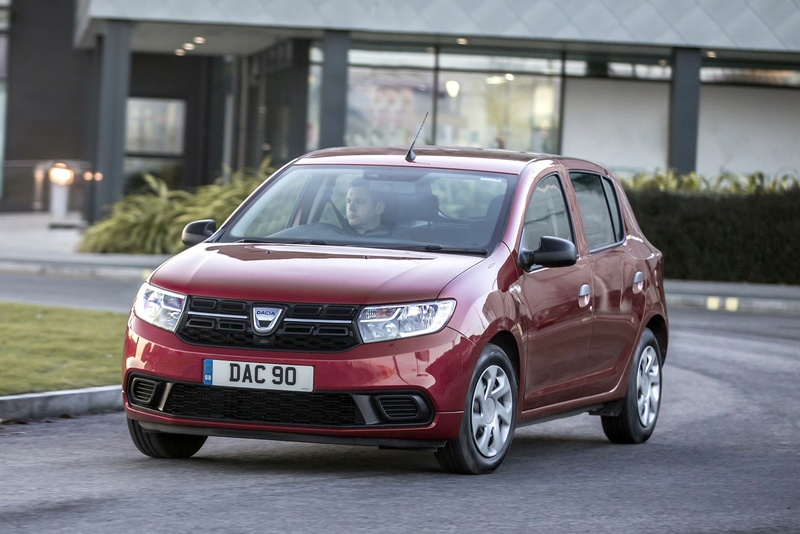 Rather than forcing buyers to pay a premium for a longer warranty they might not want, Dacia's offers them the option to extend their warranty should they wish. If you�re looking for a new Dacia Sandero 0.9 TCe Comfort 5dr Petrol Hatchback for sale, you�ve come to the right place. At Bristol Street Motors we don�t just have the best Dacia Sandero 0.9 TCe Comfort 5dr Petrol Hatchback deals, we also offer friendly advice and help with all your enquiries to ensure your buying experience is a happy experience.